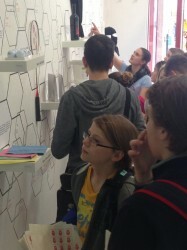 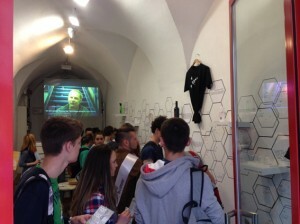 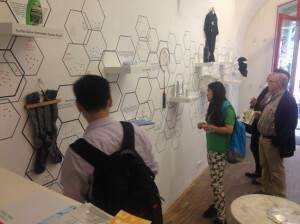 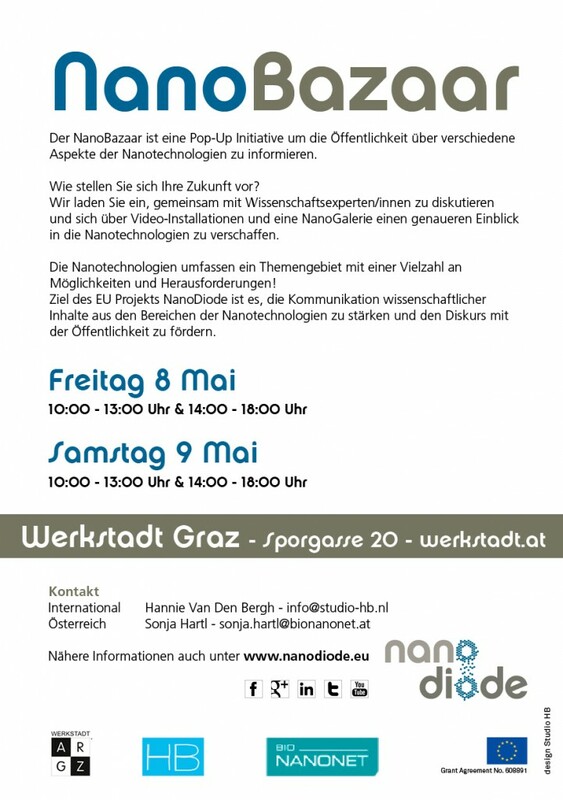 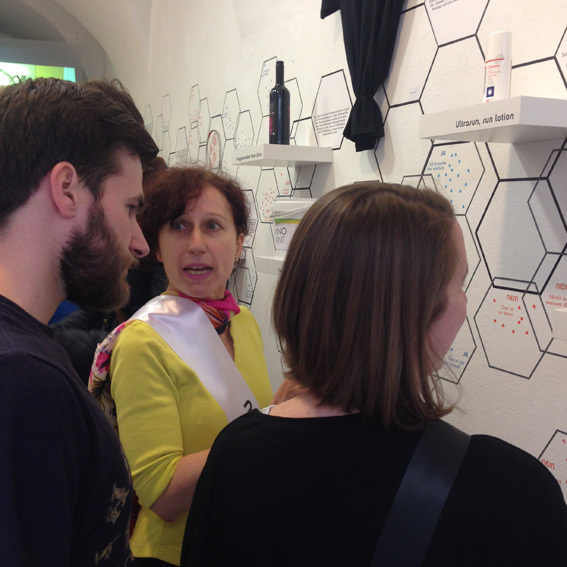 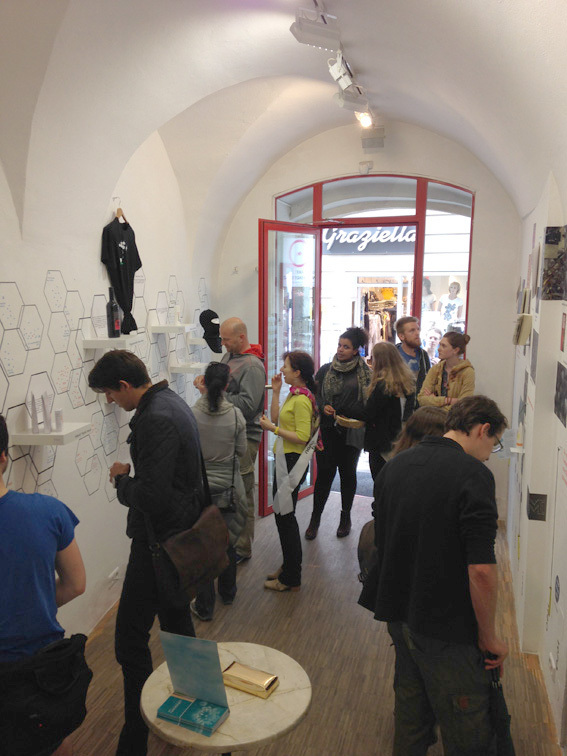 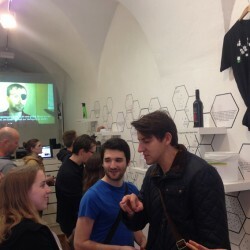 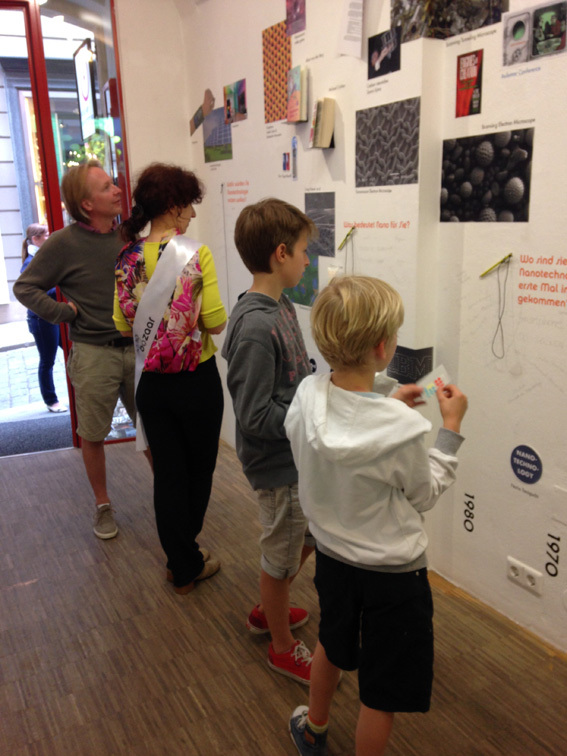 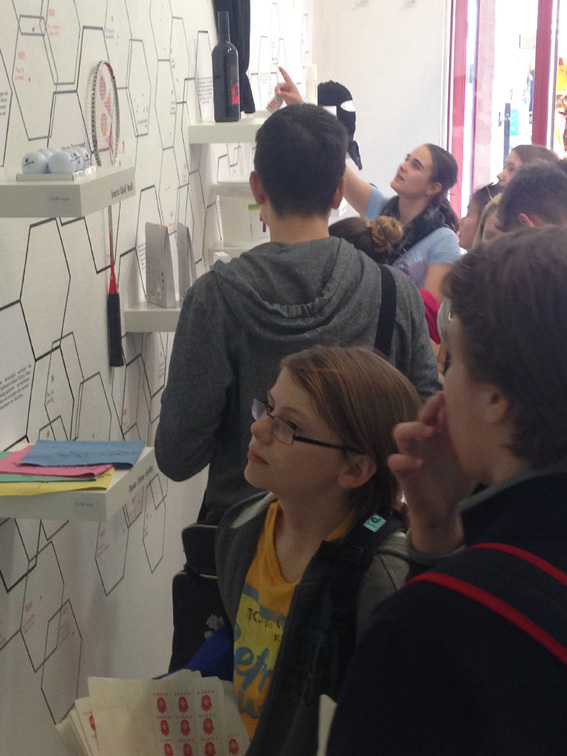 On friday 8th and saturday 9th May the second NanoBazaar took place in the inner city of Graz. 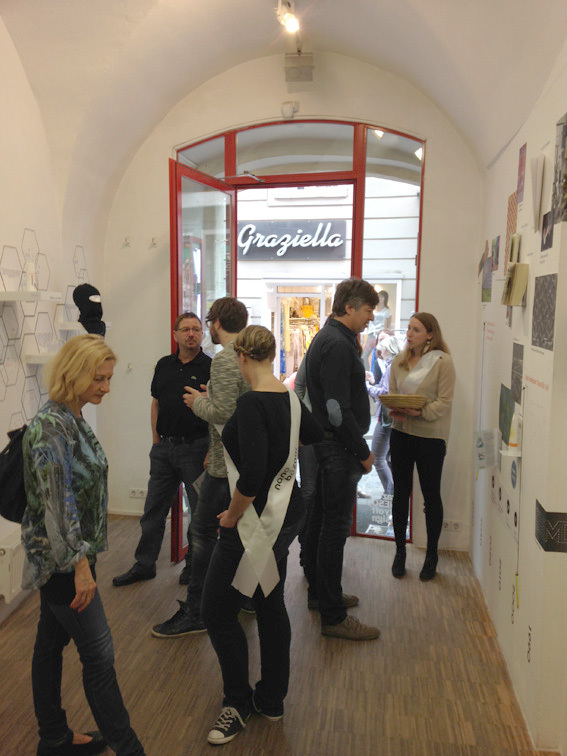 For this event we collaborate with Werkstadt Graz, a shop and gallery for contemporary art. 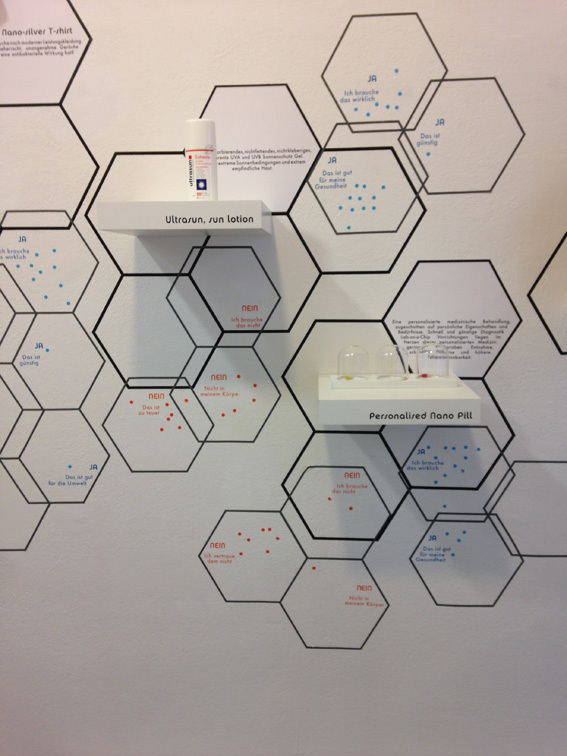 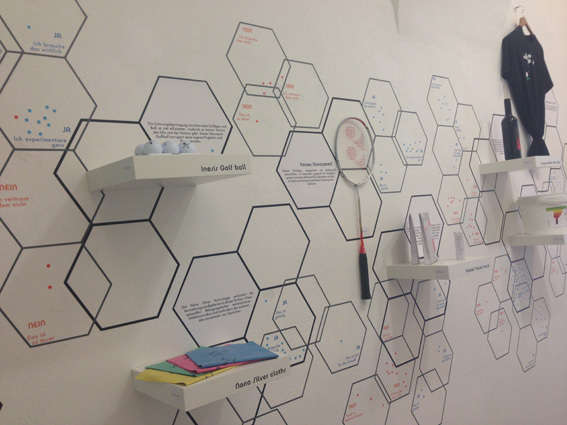 The Nano Bazaar is a pop-up initiative to inform the public about various aspects of nanotechnologies. How do you envision your future? 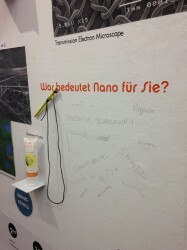 We invite you to discuss with scientific experts and gain a closer insight into the nanoworld with a nano store, a video installation and a nano gallery. 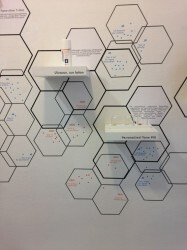 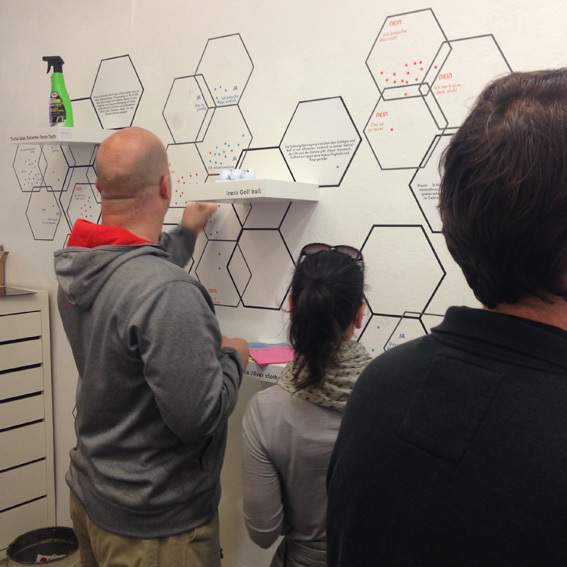 Using interactive infographics you can share your thoughts and insights. Nanotechnologies include a topic with a variety of opportunities and challenges! 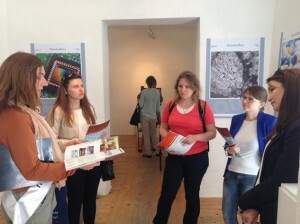 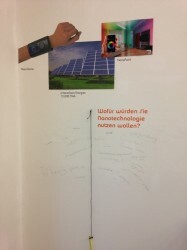 The aim of the EU project NanoDiode is to strengthen the communication of scientific content in the fields of nanotechnologies and to initiate a discussion with the public.